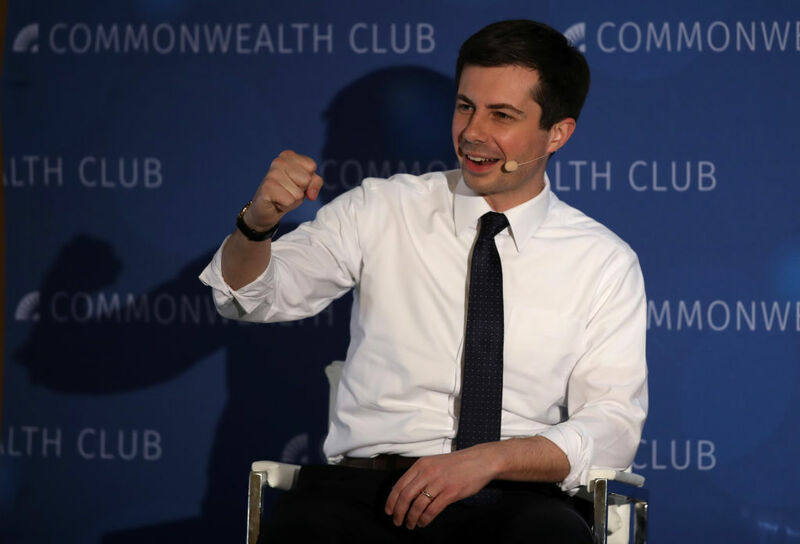 The recent craze for Pete Buttigieg — multilingual Rhodes Scholar and all-around smart guy — is just the latest incarnation of the meritocratic cult of “smartness.” It’s social Darwinism for liberals. He holds degrees from Harvard and Oxford. Like many Ivy League grads, he also worked as a consultant for McKinsey. He won a national essay contest in high school. He speaks eight languages, including English, Norwegian, Maltese, Italian, French, Spanish, Dari, and Arabic. He learned Norwegian to read a favorite author in that language, and at a recent press conference, spoke with some Norwegian journalists in their native tongue. He was a Rhodes Scholar. For the upper professional-managerial class (PMC), guys like this represent a dreamy ideal of human supremacy. That’s because for them, all of life is an Ivy League application. Well-rounded “smartness” is everything, even in the wake of recent news that this is not necessarily what elite college admissions are based upon. Liberal feminists have rightly bristled at the collective ecstasy over the mighty dome of BOOTedgedge. When economist boy-wonder Alan Cole tweeted this week, “Mayor Pete seems head and shoulders smarter than the other candidates running and IMO that should count for quite a lot,” he was widely and correctly rebuked for sexism. What about Elizabeth Warren, asked Katha Pollitt, Jill Filipovic, and many others. The Twittersphere weighed in with lists of Warren’s accomplishments. Others pointed out that the tweet was possibly racist as well as sexist; Julian Castro holds degrees from Harvard, Harvard Law School, and Stanford, and Cory Booker was, like BOOTedgedge, a Rhodes Scholar, among a pile of other academic achievements. That’s because while the PMC are often eager to be more inclusive about who gets to be “smart” — women, black people — they have tremendous faith in the concept itself. They love rich people whose intelligence has made them prosper: they may cringe at the science-denying Koch Brothers but they went into deep mourning when Steve Jobs died. They devour Malcolm Gladwell’s veneration of the wisdom of genius entrepreneurs over the plodding, clueless masses. The PMC therefore tries hard to make their children “gifted” and to nourish their talents, an effort that is supposed to culminate in the kind of august institutional validation that BOOTedgedge has enjoyed. Because they have, all their lives, felt a certain panic about the need to be college-application impressive, the PMC has come to see such impressiveness as somehow morally admirable. For people like this, the recent college admissions scandal, exposing corruption at institutions like Yale and USC, occasions not eye-rolling and wisecracks, as it does on dirtbag Twitter (this writer is guilty), but earnest hand-wringing about fairness and social justice. Smartness, to them, makes some people more deserving of the good life than others. Smartness culture is social Darwinism for liberals. This obsession pervades the politics of the PMC. Trump’s proud ignorance and shameless pandering to the nation’s dumbness often seems to gall them more than his inhumane, death-drive policies. This class always seeks a Smart Dude as savior. Obama, of course, represents successful fulfillment of this dream, and they can’t wait to repeat it. Beto, after some initial signs of promise, has now revealed himself to be a dummy who has to ask his wife on the proper usage of “subconscious.” Hence, BOOTedgedge mania. The quest reflects a theory of change in which, as political scientist Adolph Reed Jr remarked years ago, describing the worldview of some of his academic colleagues, “all the smart people get together on the Vineyard and solve the world’s problems.” Davos is the fullest expression of this: elites get together and showcase how smart they are, advertising how fit they are to be our ruling elites. It’s oddly banal, the culture of smart. Like most of the detritus of “smartness” culture, from Freakonomics to TED Talks to NPR, BOOTedgedge is politically underwhelming. What good ideas he has are shared by other candidates in the crowded field, some originating from politicians to his left, like Bernie Sanders. His bad ideas are hardly edgy, either: capitalism can be good while government regulation can be bad. This Democratic primary lineup is not the worst, and within it, neither is Mayor Pete (the term used by those not quite smart enough to pronounce BOOTedgedge). He seems to support Medicare for All and the Green New Deal in some form. He invested in infrastructure in South Bend. He won office as an openly gay man in Mike Pence country and has a record of connecting with voters who voted for Trump. And there’s no question that he’d be a better president than Trump or some of his Democratic primary competitors. We do need a president capable of reading a book, not one reveling proudly in his ignorance like the current occupant of the White House, who seems to reflect our dumbest tendencies insultingly right back to us. (When Trump this week fantasized that a Hillary Clinton victory would have turned the power grid over to solar energy and deprived us of the joy of watching TV, the writer Tara Rose aptly observed, “He’s so perfect for the kind of stupid that we are.”) A BOOTedgedge presidency would reassure those of us who believe in things like science and logic that we have stepped back from the braying idiocy that now envelopes us like a toxic plume. Of course, that would be a pleasant reprieve.